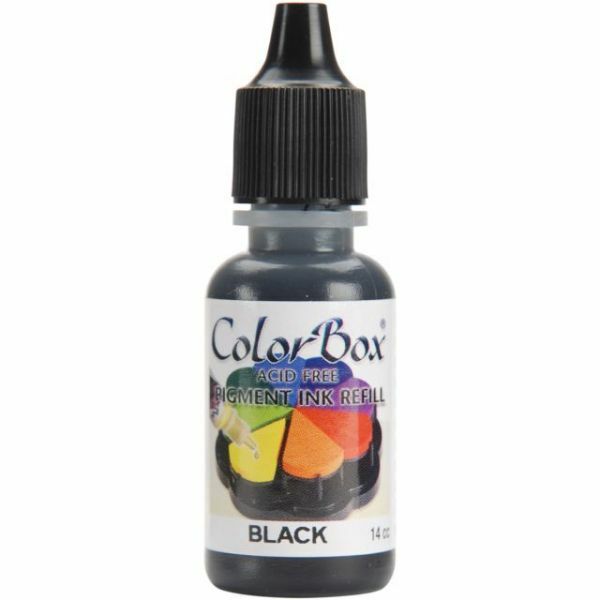 ColorBox Pigment Ink Refill - CLEARSNAP-ColorBox Pigment Ink Refill. ColorBox pigment inks are ideal for stamping on scrapbook pages and all paper crafts. The ink is acid free, archival quality, and fade-resistant. This package contains one 14cc/0.47oz bottle of pigment ink. Inkpad not included. Available in a variety of colors: each sold separately. Conforms to ASTM D4236. Made in USA.